Dr. Nugent offers “anxiety free” Dental Sedation. Dr. Nugent will ensure you are completely relaxed and comfortable while getting dental services performed. At our Pasadena, Texas Dental Office we “cater to cowards”. Come experience stress free dentistry. Do you get nervous and stressed out about going to see the dentist? Do you have difficulty getting numb? Do you have sensitive teeth? Does the thought of needles make you want run out of the dental office? If you answered yes to any of these questions you owe it to yourself to see how Dr. Nugent can use anxiety-free conscious sedation to help you overcome the stress of dental visits. Conscious Oral Sedation is a combination of laughing gas (nitrous oxide) and oral medication. 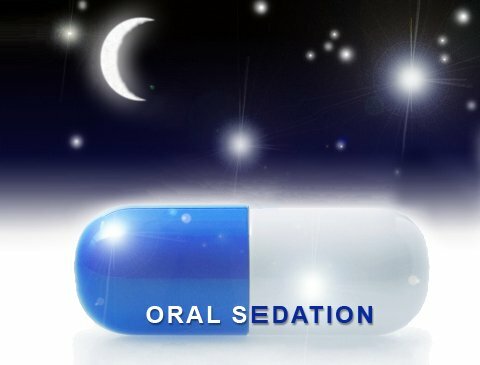 Dr. Nugent has multiple sedation techniques that he can customize to your needs. Conscious Dental Sedation allows you to be relaxed. Most people report they “slept through” the procedure or that “they don’t remember anything” about the dental treatment. 1. Will I feel any pain during the procedure? No. Once you numb you will not feel any pain. Once sedated you will be relaxed and care-free. 2. Will I be asleep? No you will not be asleep. You will be able to communicate your wants and needs to Dr. Nugent. You will breathe on your own. However, most patients report that they indeed “sleep” through the procedure. Patients are that relaxed with dental sedation. 3. What do you use to monitor me during dental sedation? Before you receive your dental sedation, a pulse oximeter will be attached to your arm. This machine will record and constantly monitor all your vital signs. A member of Dr. Nugent’s dental team will be with you at all times. 4. Will I be able to drive home? That depends. If you only receive laughing gas (nitrous oxide) then yes you can drive yourself home. If you utilize Conscious Oral Sedation then you will have to have someone drive you home.